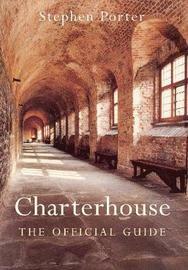 The official guidebook to Charterhouse - a hidden historic gem in the heart of London. The Charterhouse is a peaceful spot that has rightly been described as 'a place of leafy seclusion'. Yet it stands close to Smithfield and London's busy traffic, adjoining a Black Death burial ground. A Carthusian priory was founded here in 1371 and, after it had been dissolved by Henry VIII, one of his leading courtiers built a mansion on the site. Elizabeth I visited the house a number of times and her cousin the Duke of Norfolk was kept under house arrest here before his execution for treason in 1572. In 1611 it was bought by the immensely wealthy financier Thomas Sutton, who endowed an almshouse and school. The school was moved away in 1872, but the almshouse for elderly men who are in need of financial and social support remains. Known as the Brothers, recalling the monastic past, they are selected from a wide variety of backgrounds and include teachers, clergymen, writers and editors, musicians and artists, and many have served in the armed forces. The chapel, the great hall, great chamber and Norfolk Cloister are especially fine rooms in a building which is one of the best preserved, yet least known, historic sites in London. It is an architectural gem incorporating fabric from the mid-fourteenth century to the turn of the twenty-first century. Stephen Porter is an acknowledged expert on London's history. His other books include The Great Plague ('An excellent introduction' Sunday Telegraph), London: A History in Paintings & Illustrations ('Glorious... brings London vividly to life' Simon Jenkins) & Pepys's London ('A compelling, lively account' BBC History Magazine). He is a Fellow of the Society of Antiquaries and of the Royal Historical Society. After twenty-five years living in the capital he now lives in Stratford-Upon-Avon.